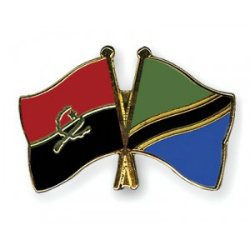 During a celebration to mark the 39th anniversary of Angolan independence, Tanzania Minister for Foreign Affairs and International Cooperation, Bernard Membe, invited oil and gas investors from Angola to promote continuous positive business relations links between two countries. According to Hon. Membe, Tanzania is committed to working closely with the Government of Angola and invited investors to take advantage of the opportunities available to them in Tanzania. Hon. Membe went on to explain that investments in Tanzania are guaranteed against nationalization and expropriation and welcomed interested investors to make use of the Tanzania Investment Centre, a tool that is available to help coordinate and promote investment for local and foreign investors. To date, approximately 25 production sharing agreements (PSAs) in Tanzania have been signed with at least 17 international energy companies. In a recent interview with Reuters, James Andilile, acting managing director of the state-run Tanzania Petroleum Development Corporation (TPDC), indicated that the government has increased their estimation of recoverable natural gas resources in the country from 46.5 tcf to 53.2 tcf as a result of several recent major offshore discoveries.